JLG has been a pioneer in the lift equipment industry ever since the first JLG aerial work platform was offered for sale in 1970. Chicago Industrial equipment is proud to partner with JLG to offer an extensive inventory of new and used JLG lifts to businesses in Illinois, across the United State and around the world. Chicago Industrial and JLG are both committed to providing products that help customers improve productivity and work more safely. 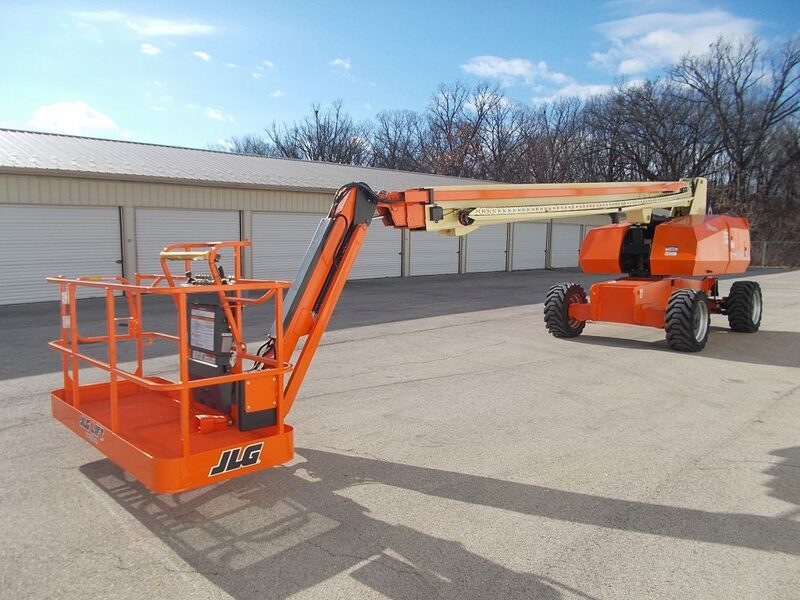 Browse our equipment lineup, and you’ll find our inventory includes JLG boom lifts for sale, including articulating and telescoping boom equipment that provide the reach and power necessary for optimal performance in outdoor work environments. You’ll also find we’re the best place to buy JLG telehandlers in Chicago that offer unrivaled versatility and maneuverability to perform numerous essential lifting applications. 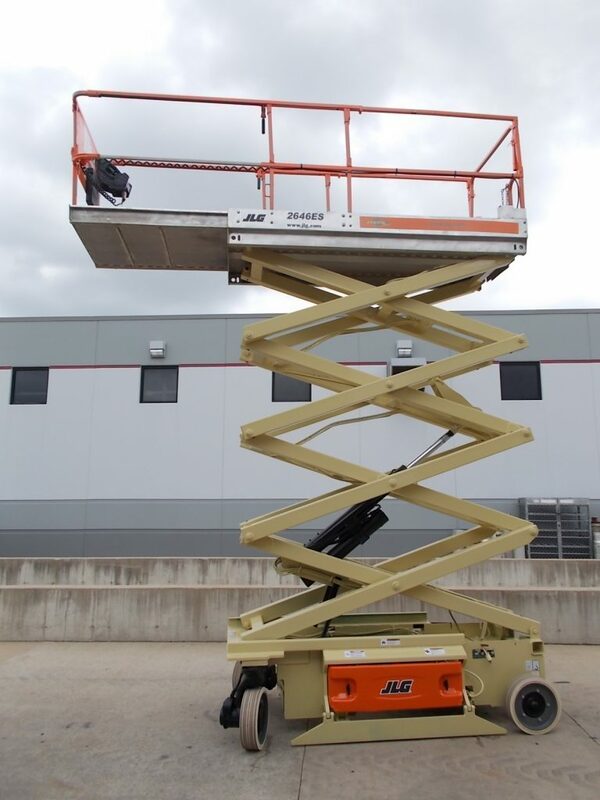 If you’re looking for JLG scissor lifts to assist with your indoor or outdoor maintenance or construction tasks, you’ll find the perfect machine at Chicago Industrial! If you’re in the market for dependable used JLG lifts in Chicago — or anywhere else — that won’t let you down when you need them the most, Chicago Industrial has you covered! 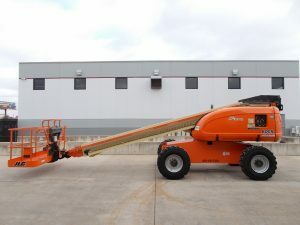 Our inventory includes used JLG boom lifts, used JLG scissor lifts and used JLG telehandlers for sale that offer an affordable alternative to brand-new equipment. Choose from late-model, low-hour machines or older equipment that can still get the job done. We sell top-quality lifts that we refurbish at our on-site reconditioning shop, as well as “as is” machines that previously served as lease equipment. Our eight-acre property in Rockdale, IL, a suburb of Chicago, includes an impressive 40,000-square-foot-showroom. With the space to carry 500 pieces of lift equipment at a time, you can always count on us to have what you need. And if you can’t find it, we can get it for you! Check out our current inventory of JLG lifts and contact us today for a no-obligation price quote. And don’t forget that we can ship equipment to businesses in IL and beyond. Turn to Chicago Industrial for all of your lift equipment needs!